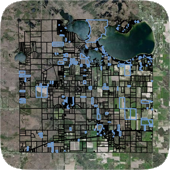 See the new Lake Township Parcel Map Viewer. Lake Township Assessing office has partnered with BS&A Software (Assessing data) to provide assessment information online. Select the link below to open the Lake Township Internet Services web site. Lake Township Assessing - Missaukee County Michigan. FYI- Upon purchasing or a transfer of property - use the above property tax estimator link- for a more accurate indication of property taxes, enter the current assessed value (S.E.V.) or 50% of Sale Price, instead of taxable value. © Lake Township Of Missaukee County Michigan 2017.